Sarah "Sally" Church brings to her clients 25 years of experience in working on a wide spectrum of employee benefits and executive compensation matters. 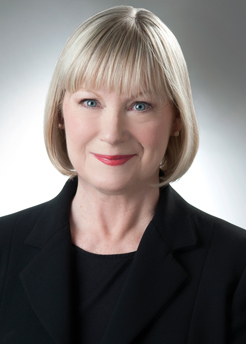 Immediately prior to joining Saul Ewing Arnstein & Lehr, Sally was a Partner at Thorp Reed & Armstrong, LLP where she served as Practice Group Leader for the Employee Benefits & Executive Compensation Practice Group. Previously, she was a partner in two other Pittsburgh-based law firms where she focused her practice on employee benefits matters. In addition to her experience in private practice, Sally was Director of Compensation and Benefits for the Pennsylvania Business Unit of KPMG, LLP from 1999 to 2003. She also has worked as an Associate Counsel and Assistant Vice President for Mellon Financial Corporation (now BNY Mellon), and as in-house ERISA counsel for Westinghouse Electric Corporation (now Viacom).